Even in a digital world, business cards are still used by people in nearly every industry. They’re the fastest way to give someone your contact information in person, and they can convey a mature, professional message. In fact, 72% say they judge a company by their business cards. That’s a lot of missed opportunity if your card is lacking. 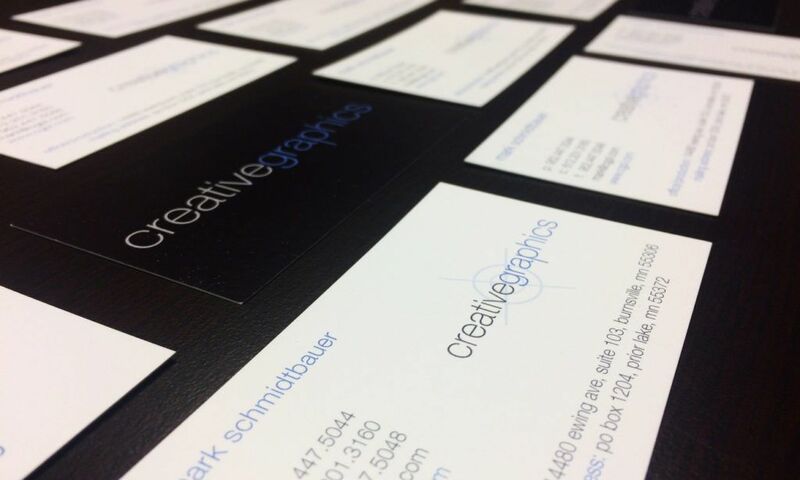 Unlike internet printing companies, we never use a template to create your business card layout. Each company has a design that’s unique to their profession and industry. 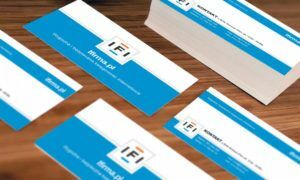 From a basic black-and-white business card to full-color layout, our design team gives you the credible look that embodies your brand. Even if you have no idea where to start or have just a concept and logo in mind, we’ll work together to craft a card you’ll be proud to hand out. The branding of your business is important. Conveying attractive colors, typefaces and messaging can bring in not just more customers, but the right customers. Need your name on more than just business cards? Check out our Corporate Identity Packages. 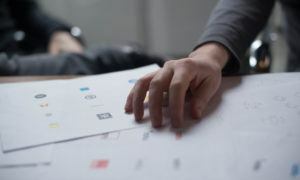 We design and print letterhead, envelopes and more to give your brand a consistent, desirable feel.